What do you think of when you think of gifted children? Do you picture children who excel academically, who are leaders in their classes, and who may be ready and eager to learn things that are currently beyond the reach of most of their peers? If so, you are not alone. When I was growing up, I suffered from the stigma of having dyslexia. I was always comparing myself unfavorably to others based on a kind of linear scale I imagined. Because I had such difficulty reading and writing, I was at one end of the scale. Normal people were in the middle. The really smart kids, the gifted ones, were at the other end of the scale as far away as possible from people like me. And yet, think of an exceptional person like Thomas Edison. His teacher considered him “an hyperactive stupid” child who couldn’t be taught, and yet he was actually very gifted. So having a learning difficulty does not necessarily preclude a child from being gifted. There are many accepted definitions of what constitutes a gifted child. Here is one of them, taken from the National Association for Gifted Children website (they offer other commonly-used definitions here): Gifted individuals are those who demonstrate outstanding levels of aptitude (defined as an exceptional ability to reason and learn) or competence (documented performance or achievement in top 10% or rarer) in one or more domains. Domains include any structured area of activity with its own symbol system (e.g., mathematics, music, language) and/or set of sensorimotor skills (e.g., painting, dance, sports). According to this definition, gifted children show outstanding levels of aptitude in one or more domains. These domains may not include reading, writing, or traditional academics, but could include art, music, dance, or athletics. In addition, children with learning difficulties who are gifted may have extreme difficulty doing written math on paper, but may be able to demonstrate exceptional mathematical competence verbally or by some other means. So yes, a dyslexic child or a child with any other learning difficulty can also be considered gifted if they meet certain criteria—even if they are doing poorly in school. A widely used term for a child with a diagnosed learning difficulty who has also been evaluated as fitting the criteria for being considered gifted is twice-exceptional. It is often abbreviated as 2e. 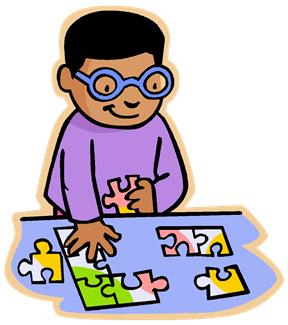 Sometimes it can be very difficult to identify these twice-exceptional children. Check back next week and I’ll explain why.